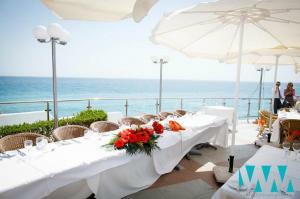 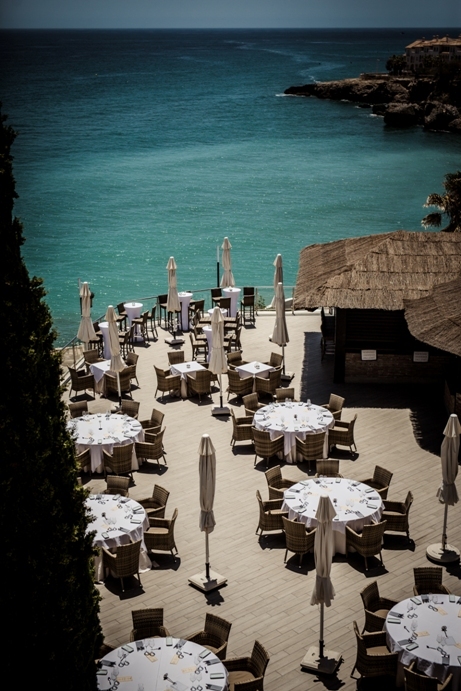 A fantastic choice of venue right next to the Balcon de Europa. 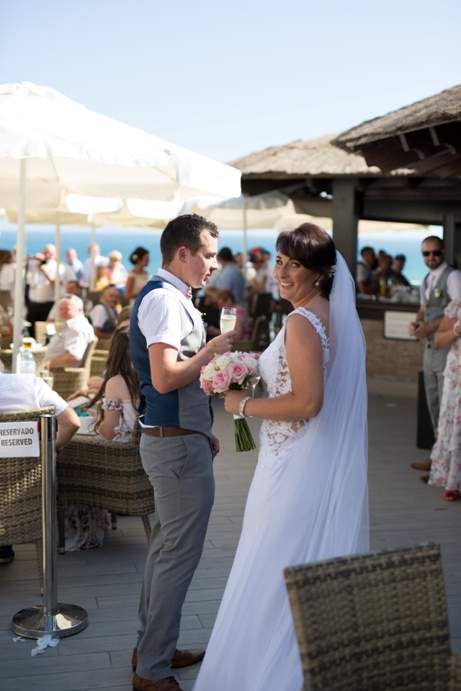 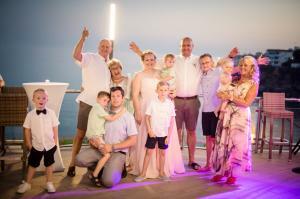 The venue has a large, seaview terrace where the ceremony can be performed, we then take a few steps to the end of the terrace to enjoy drinks and canapés. 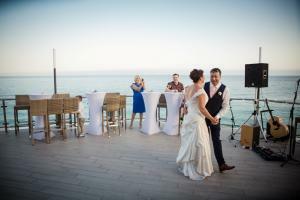 Afterwards we can move inside the restaurant for up to 80 guests or have the wedding meal outside on the terrace. Next we clear a space at the end of the terrace for dancing with live music or a dj until 23.30h. 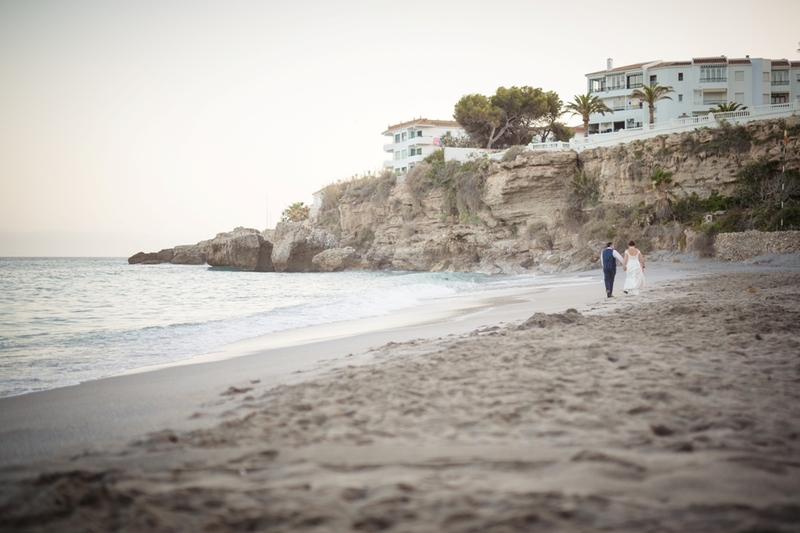 Stroll down to the beach for photos or have your own fireworks display to wow your guests. Guests can then stay on the terrace for quiet drinks or move to the pub for more live music/ dj and dancing until 04.00h. 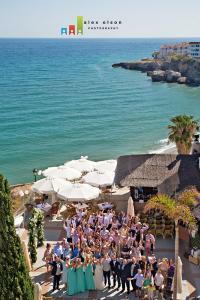 Friendly, helpful and professional, long serving staff. 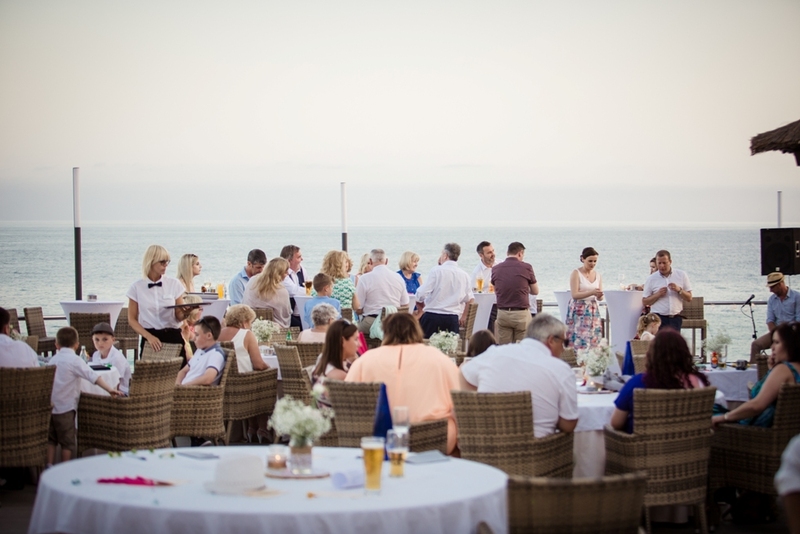 Excellent value menu and very flexible – will cater for any number of guests with 3 to 4 course menus to choose from or a more informal tapas menu. 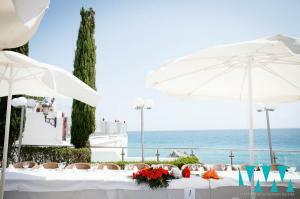 Price to hire venue private – 7000€ minimum spend.